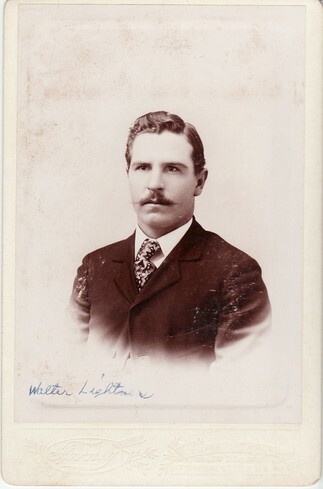 Comments: Walter Lightner (Nee: ) | Abilene KS United States | 1901-1920 | Comments: I found this photo in an Antique Store. There are two of the same photo & on one is written:(Dora's husband). In 1920 Walter is 49,& Dora 48,& living in Dickinson Co KS.